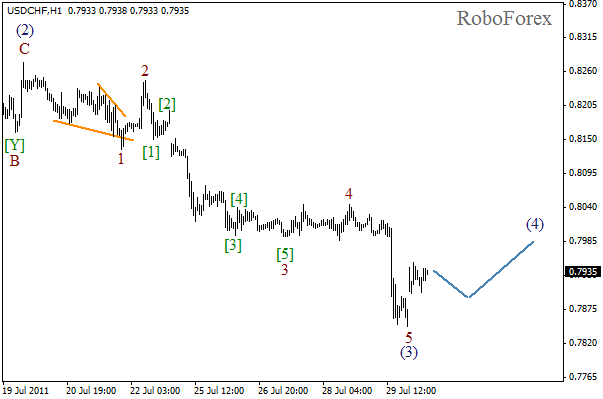 It seems that at the H4 chart wave (3) of  has been completed and the correction started. Most likely, the price will move in a very narrow range during the next several days. When the price leaves this range, the fifth wave will start. Today the market was opened with gap up, thus confirming that the third wave had been completed and the fourth wave started. 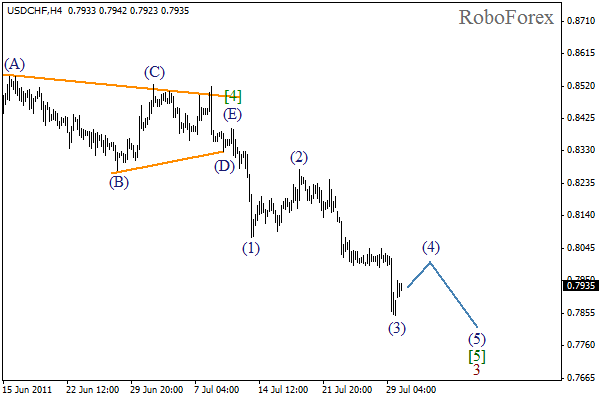 Most likely, the correction will take the form of double three or horizontal triangle patterns. The price won’t change much during the next several days. We may assume that the second wave has been completed and now rising wave 3 of (3) is being formed. The price may reach new maximum within the next several days. 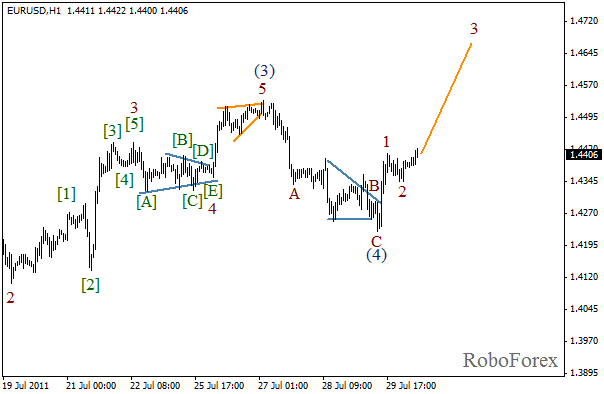 The forecast is still bullish with the targets above the level of 1.5000. 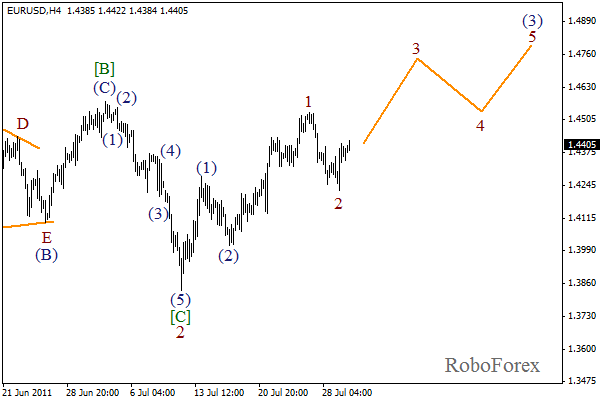 At the H4 chart wave (4) took the form of zigzag pattern. On the minor wave level we can see that initial rising impulse was completed. Most likely, wave 2 was also completed and the market is getting ready to grow inside the third wave. The price may continue growing during the day.